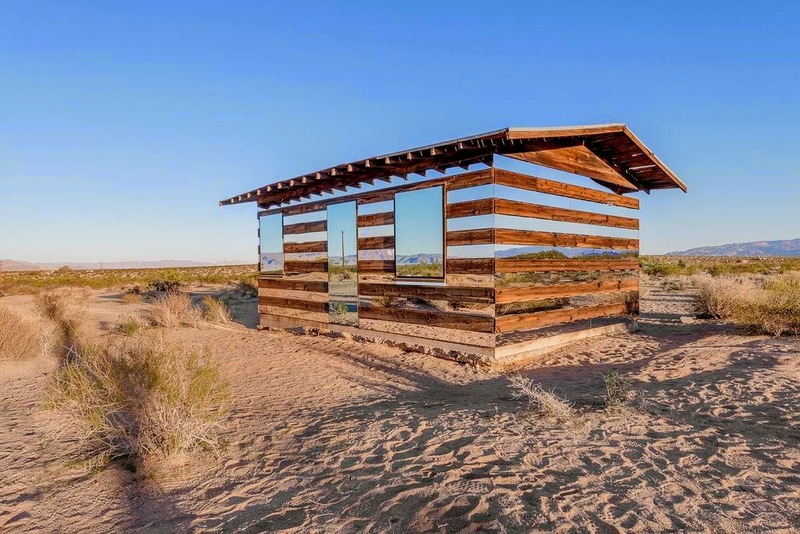 The installation from the artist Phillip K. Smith III in Joshua Tree, California follows in the fine tradition of other looking-glass landscapes by rewarding you for looking more carefully at your immediate surroundings, and by playing with your perceptions of space as well. While I haven't seen Smith's Mirror House installation (yet!) there are two other "mirror masters" whose work I admire very much. 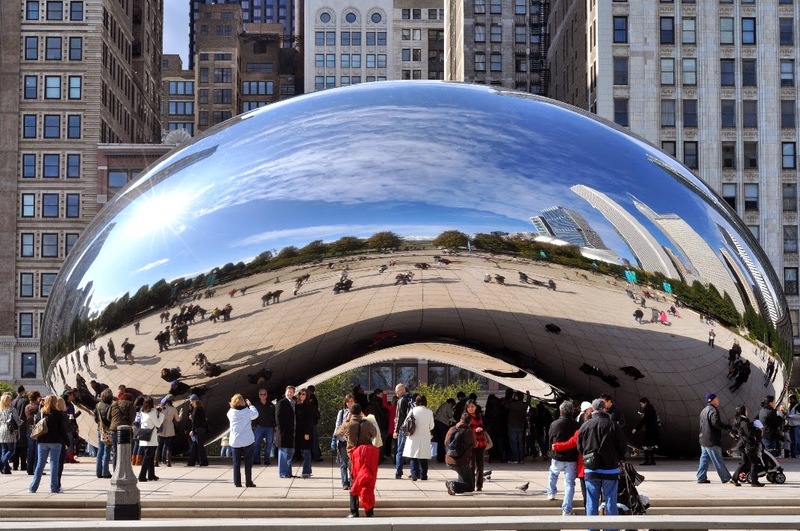 The first is Anish Kapoor, whose best known work may be Cloud Gate (aka "The Bean") located at the edge of Millennium Park in downtown Chicago. While the urban setting for Kapoor's piece could hardly be more remote from the desert location of Smith's Mirror House, they both have qualities that seem to draw people toward them while at the same time twisting perceptions of the surrounding space(s). 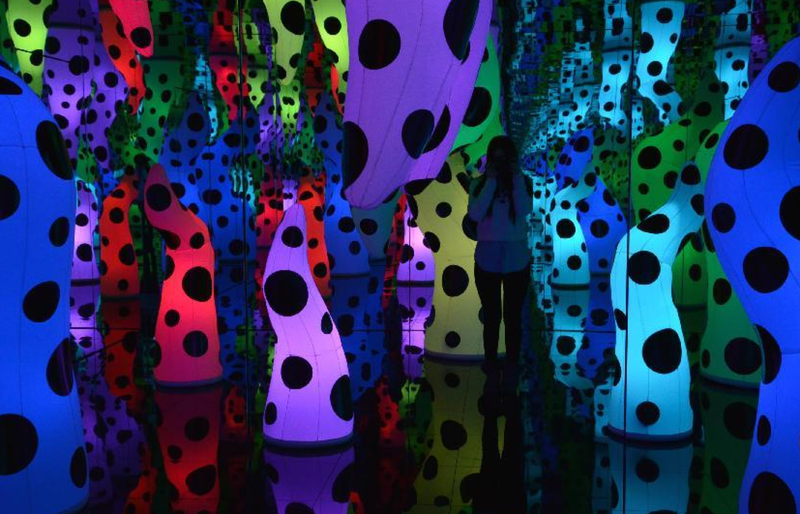 Yayoi Kusama’s Infinity Mirrored Room takes the concept of a funhouse "Hall of Mirrors" to the level of High Art by combining her deeply-patterned art within cleverly arranged geometric mirrored boxes. Even the floors of Kusama's installations are covered with mirrors, so you have to put little booties on over your shoes before you are allowed to step inside! I found myself playing around with the mirrors in many different ways because of the intriguing environment that Kusama created. What other types of "familiar" materials could we use in "unfamiliar" ways in our work? Many museum folks have an inherent dislike of Disney and their theme parks. But even if you're not a Disney fan, it's worth checking out what the Disney Research folks (and their research partners) are up to. 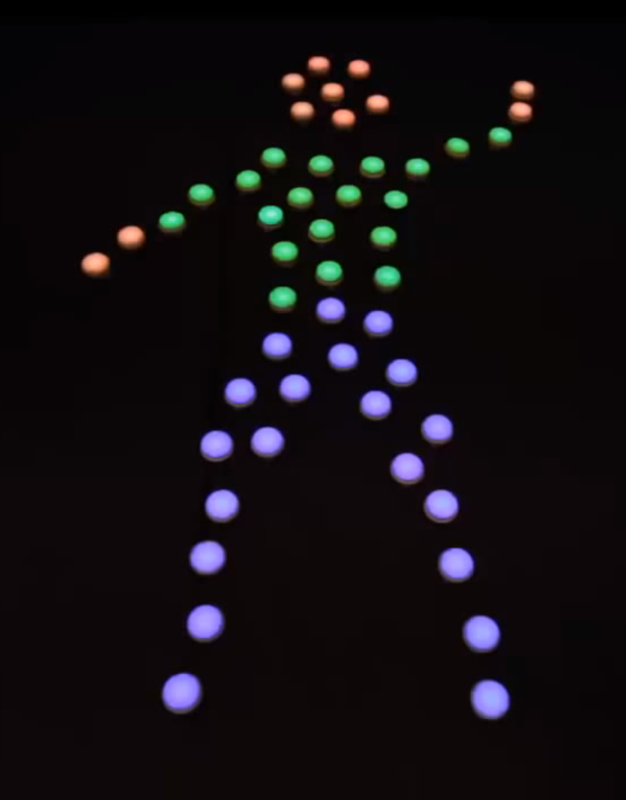 On the Disney Research website, they show off videos of some of their cool concepts like "Printing Teddy Bears" (a method of using 3D printing to produce soft interactive objects) or Pixelbots (pictured below) which are sort of a combination of interactive graphics and robots! 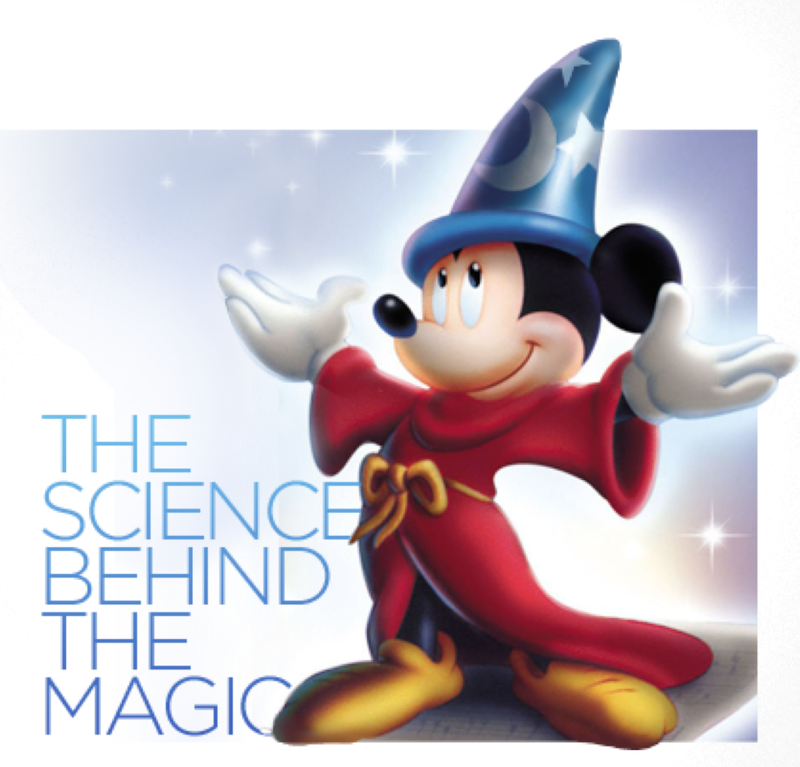 Click on over to the Disney Research website yourself --- I especially recommend the Project Videos and Publications sections as good places to start.